We are your Workers’ Comp Specialists! Rehab and Pain Management Services is the office of Neil R. Schultz MD, who is a board-certified specialist in physical medicine and rehabilitation. Physical medicine and rehabilitation is the branch of medicine known as physiatry. Why should you choose Dr. Schultz? By treating with Dr. Schultz soon after an injury, patients can avoid costly and painful surgeries that have long recovery times and possible complications. By taking the whole body into account, Dr. Schultz is able to accurately pinpoint problems and enhance performance and improve the patient’s quality of life without surgery. With an appropriate treatment plan in place, Dr. Schultz will help keep his patients as active as possible at any age, and his broad medical expertise allows him to treat disabling conditions throughout a person’s lifetime. Accepting Workers Compensation Patients including out of state claims. We are the Workers Compensation specialists here in South Florida and we accept old, new, complex, and even out-of-state cases. With over 20 years experience treating and helping injured patients recover, Dr. Schultz is an expert on helping patients’ restore their functional ability, improving their activities of daily living, and helping them get back to work and life as quickly as possible. 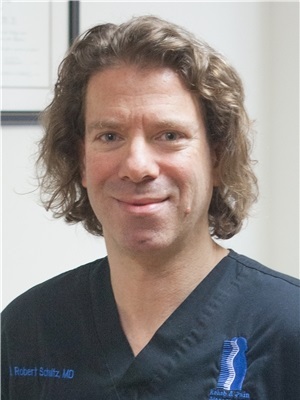 Dr. Schultz is a board certified Physiatrist, and he uses a whole body approach towards treatment, going beyond the symptoms to treat and heal the whole person not just the pain. He is also an avid exercise and health enthusiast and encourages and teaches all of his patients to be pro-active during their rehabilitation and throughout their lives. The best direct patient to physician medical care available. Every patient who comes to our practice receives specialized care at each visit directly from Dr. Schultz, not from a physicians’ assistant or nurse practitioner and we believe in direct patient to physician contact. For the first visit Dr. Schultz will spend an hour with each patient as he takes a detailed history, performs his evaluation, explains the diagnosis, provides his treatment recommendations, and answers any questions or concerns they may have. During follow up visits he spends 30 minutes with each patient, reviewing the patient’s progress, treatment goals, and answering questions. Caring for patients doesn’t stop when they leave the office. Every one of our patients can call into the office during business hours with any medical concerns and be directly conferenced in with Dr. Schultz. We don’t take messages, we solve our patients problems immediately!